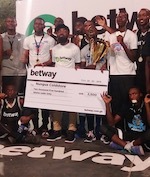 The 2018 Accra Basketball League (ABL) Men's Division I has concluded with Braves of Customs running away with another league title after blitzing the division's competition. Braves won the league with a flawless run in 16 games. This marks the time the lower division becomes the center of attention as the Division II tips off later tonight at the Lebanon House Court in Tudu with a pair of games scheduled to open a new chapter in the fight for places in the elite division. Ten teams will compete in this season's competition including Novas Academy, Tudu Galaxy, Dunk Knights and Panthers who feature later tonight. Novas is set to play Galaxy while Knights take on Panthers in the follow up game. 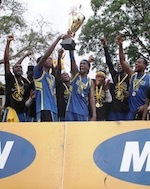 Swanlakers, Ada Knights, Adabraka CYO, Teshie Rangers, Junior Reformers and Adenta Tusk complete the division's roster. Swanlakers play Ada while CYO takes on Rangers on Saturday, October 20 at the same venue. A seminar to brief stakeholders will be held prior to the start of the league with referees set to be handed new jerseys for the season. Briefing on new FIBA rules will be conducted with club managers and coaches expected to be in attendance. Ghana Police Service, Adenta Leopards and Reformers of Prisons qualified from the Division II to Division I last season.